If you woke up in front of a castle and didn’t know how you got there or where you were, and only had a torch as your guide… what would you do? The 80’s were a time of introducing the classics for the horror genre, and gaming was part of it. In 1987, Zojoi released a point-and-click horror adventure known as Shadowgate. It was originally for Macintosh computers, but was developed for the NES, GBC, and Nintendo 64 a few years on. It soon enough became a cult-classic in adventure games. The game Shadowgate follows the player known as “The Seed of Prophecy” through a castle they wake up outside of. The player is given little information about how they got there, why they’re there, and what to do. Well, other than enter the scary castle and try to make their way through with only being given a finite number of light sources that the player needs to survive. As the character goes through puzzles and scares, they figure out they need to get to the end to defeat the Evil Warlock Lord to beat the game. And in August of 2014, it was revamped and re-released for PC. It had enhanced graphics (including hand-painted backgrounds), some new scares and an updated play-style using a wheel. However, there was still the option for players to play the classic version in all of its pixelated glory and terror. However, Shadowgate was re-released in 2017 as an 8-bit Classis trio bundle, but it was the original game and not the updated version like PC-players have. But it looks like the console players’ wait is over. Working with Abstraction Games once more, Zojoi is planning on bringing the updated version of Shadowgate to PS4, Xbox One, and Nintendo Switch this coming fall. 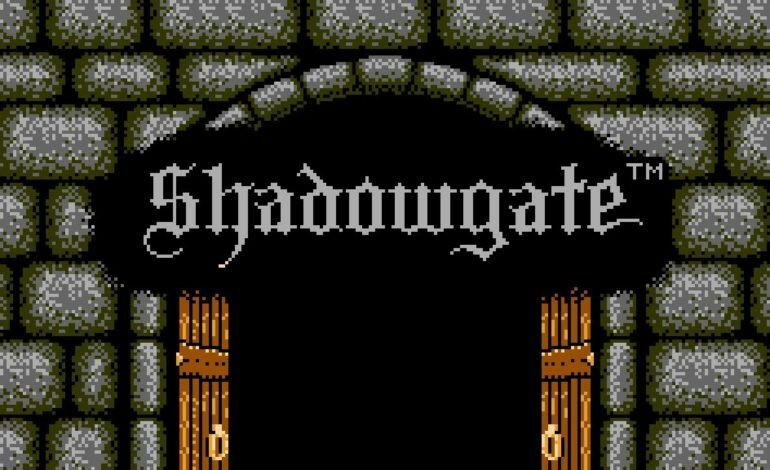 The re-imaged and updated version of Shadowgate will feature the new play style that the 2014 PC reboot has, and the classic mode from the NES 1989 version. As well as the old puzzles from the original and brand new ones to keep players on their toes. New sounds to enhance the atmosphere, and a new take on the soundtrack by composer Rich Douglas. Players can still purchase the updated version of Shadowgate on PC, as well as the classic 8-bit style on PC and PS4.